Physie is a fun fusion of dance styles and sport all in one class! Physical Culture, also known as 'Physie', is a fusion of dance styles combined with sport. It is centred around empowering girls and women in a friendly and fun environment. 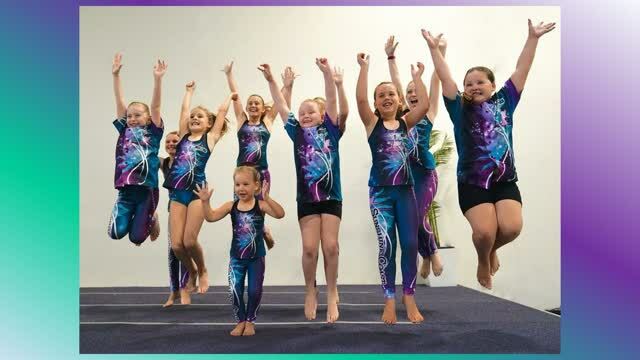 Sunshine Coast Physie is a non-profit, community based club that provides accredited teaching and a supportive class structure. The age appropriate syllabus is changed annually so that the routines are fresh and the music remains current. Please see the 'About' page for more details. Classes start from 2.5 years of age and there is no age limit for ladies - as long as you love to get up and move to the music, then Physie is for you! In 2019 classes are in held in central Yandina which is just off the Bruce Highway - only 8 minutes from Nambour and 15-20 minutes from Peregian Springs and Buderim. If you are interested in classes please contact us. Go to the 'Timetable' page for more details.